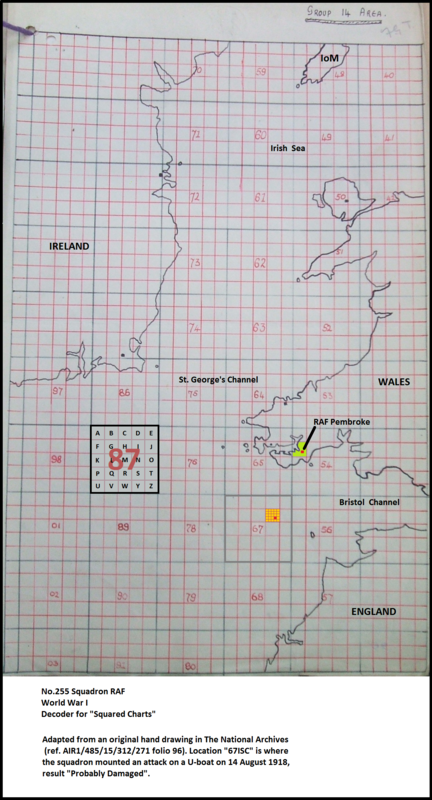 The main squares have dimensions 25×25 Nautical Miles. Each letter in the 5-character group represents successive subdivision of the main square into 25 smaller squares using a 5×5 grid labelled A through Z omitting X. With three such subdivisions, the resolution of the coded location statement is good enough to pinpoint any position to an accuracy of one fifth of a Nautical Mile, which is approximately 370 metres. This example is valid for World War One only; a different grid was used during WWII.